Andy Nguyen of Phoenix continued his reign over the Boys 18 division, defeating Garret Dunn of Tempe in the finals, 7-6, 6-1. Ahmad Saleem of Phoenix picked up third place, topping Patrick Taylor of Scottsdale, 6-3, 6-1. In Boys 16, Andrew Mayer of Scottsdale needed three sets in the finals to get past Dominic Patrick of Gilbert, 7-5, 1-6, 6-2. 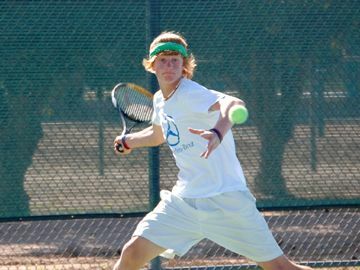 Hunter Johnson of Litchfield Park took third, defeating Cameron Tehrani of Paradise Valley, 6-2, 6-1. Augustus Ge of Phoenix notched another title in the Boys 14 division, edging out Robert Seby of Oro Valley, 4-6, 7-6, 6-0. Meanwhile, in Boys 12, Nathan Ponwith of Scottsdale came in second, falling to George Cooper of Albuquerque in the finals, 7-5, 1-6, 1-0. On the girls side, Emily Harris of Scottsdale ran the table in Girls 18 and defeated Cassie Hochwalt of Scottsdale in the finals, 6-0, 6-1. Michaela Oldani of Scottsdale took third in three set over Lauren Pick of Albuquerque, 6-4, 5-7, 6-3. In Girls 14, Alexandra Letzt of Scottsdale avenged her loss from two weeks ago to Madison Clark of Phoenix in the finals 6-4, 6-3. 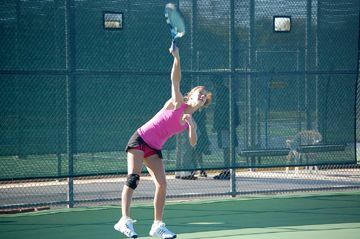 Maggie Cohen of Phoenix bounced back for third, defeating Emily Serrano of Phoenix in three sets, 3-6, 6-1, 6-4. After taking some time off, Julia Ortiz of Chandler returned with vengeance and ran through the Girls 12 field to the finals, dropping Caroline Amos of Tucson, 6-1, 6-3. And in Girls 10, Whitney Goett of Paradise Valley defeated Josie Frazier of Laveen in the finals, 6-2, 6-1. Victoria Franco of Tempe picked up third place, slipping past Ksoosha Ramras of Paradise Valley, 7-5, 1-6, 1-0.